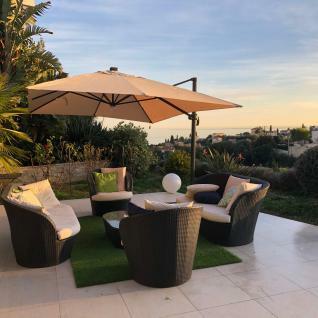 This parasol is fully manufactured in aluminium, from the pole to the ribs, which ensures the durability and resistance of the product. 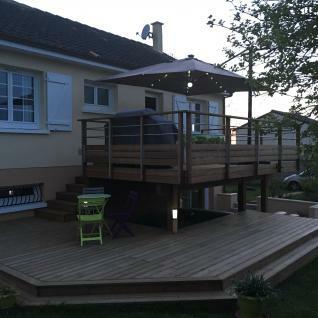 The canopy is made of high-density polyester (250g / m²). The fabric is coated with a water repellent product, making the canvas waterproof. 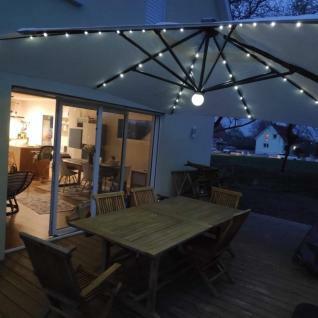 The LED system is perfectly integrated into the parasol, with no visible wires. 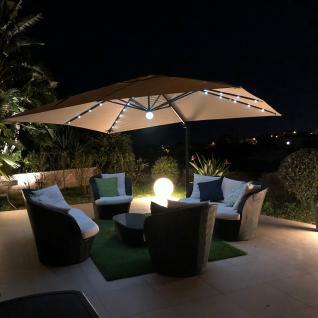 It consists of a solar charger on the top of the parasol, a wired remote control at the end of one rib, it is also possible to charge the LEDs with an extension cord (not included). The LED and batteries are replaceable and the solar module is easily removable. The ingenious cover, which is included, has a transparent section on the top which lets the sunlight through in order to charge the batteries. 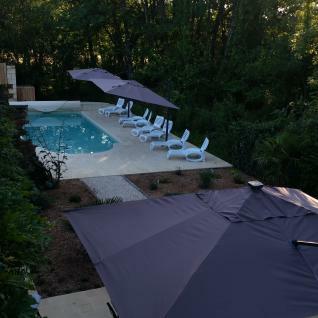 Height of the parasol: 2.70m (2m at the lowest point).